No one likes to see their furry friend age. However, contrary to what you might think, you can make the process much easier on them. Most of the process is just making sure they are comfortable, and they have plenty of support for their bones, muscles, and joints. In my opinion, the best way to do this is to invest in a quality bed for your furry, ageing companion. We've tested a bunch of beds, and we've consulted with a bunch of dog experts to figure out what exactly a senior dog needs from a good dog bed. So here's a quick guide! Let me know in the comments if you have any questions. There are plenty of things to keep in mind when you look for a bed for your older dog. We’ve compiled a list of things that we like to look for, and I recommend you look for them as well before you make a purchase! This is hands down the most important feature. Without proper support, then the bed is basically useless to the needs of your senior dog. 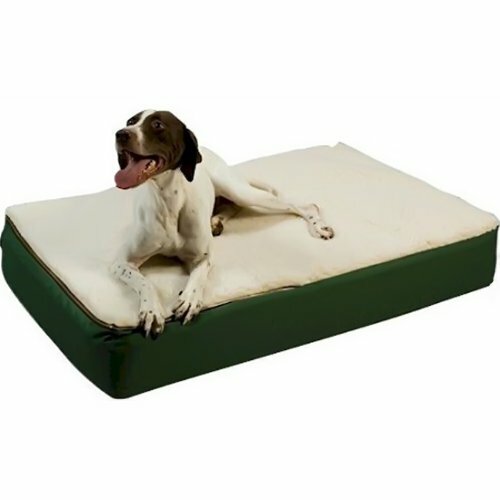 Memory foam is usually the best for support because it adheres to the dog’s body type and it’s firm enough to support all of the aching muscles and joints. We want our dogs to be comfortable. It’s good to choose a bed that doesn’t just focus on functionality, but also makes an effort to just be an all-around comfortable place for your dog to hang out during the day. Unfortunately, the more expensive the better usually. They aren’t usually made from 100% memory foam materials. Also, you want this bed to last several years. 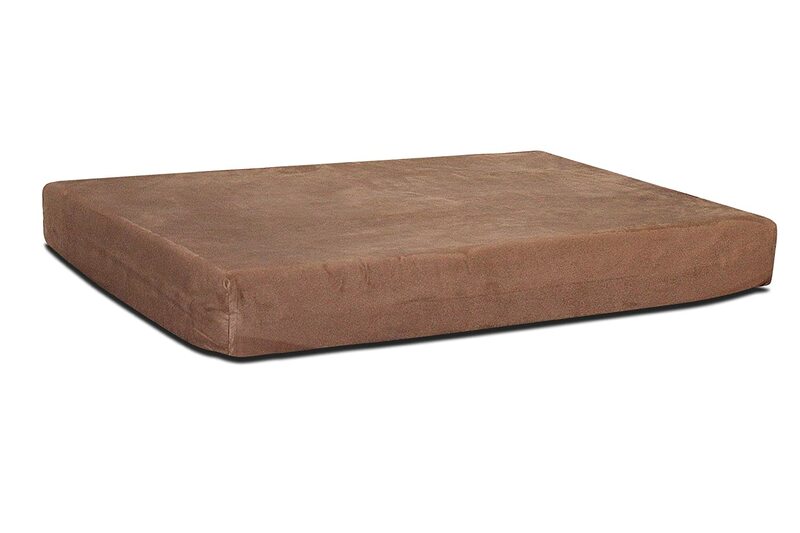 We recommend purchasing a quality bed that with withstand the test of time. 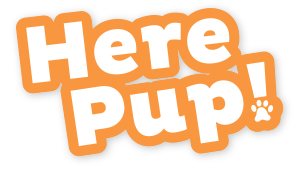 It’s usually a good idea to be able to be in control of your dog’s body temperature. This will allow you to apply heat or cold to places where your dog may be sore. Also, this is a good way to keep your dog warm in the winter and cool in the summer. The only downside is that some beds that offer temperature control come with power cords for the heating elements. This can be dangerous if you dogs decide to chew on it. Overall, it’s usually a good decision to offer this feature to your ageing dog. Why is it Important to Invest in a Quality Bed? With age comes deterioration. Just as people do, dogs tend to develop issues as they get older. The older the dog gets, the more likely they are to develop arthritis, hip dysplasia, sore muscles, broken bones, etc. Investing in a quality bed will help ease your dog’s pain throughout the changes in their body and through the process of deterioration. Also, even though they’re resilient animals, they still have preferences, and they still like to be comfortable. I recommend spending the few extra bucks to give your pup the comfort he deserves, especially in their old age; they’ve earned it! This is an excellent bed for your ageing dog. 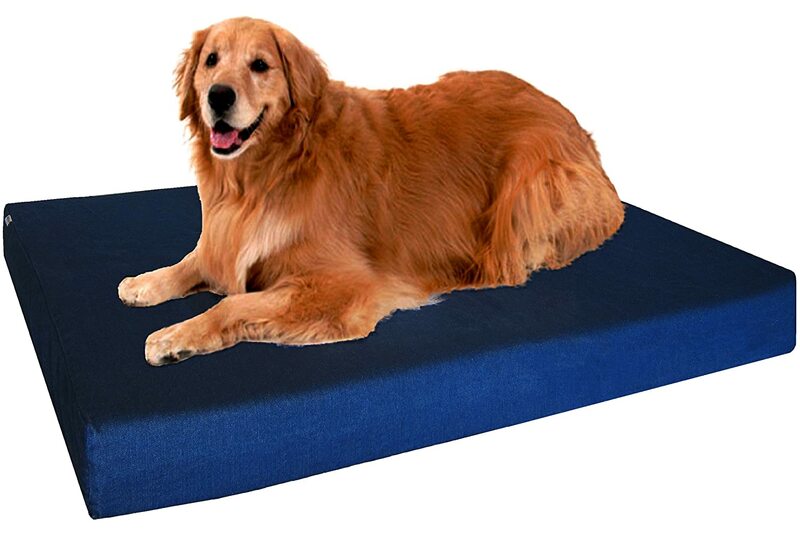 It is firm for added support, and it’s made with orthopedic, double-sided, 7” egg-crate foam. It comes with a waterproof cover that can be removed and cleaned when needed. Also, it comes with a comfortable Sherpa top layer. The Snoozer bed has also had extraordinary reviews by those who have purchased it. It’s comfortable, thick, and it’s well-made. This is another dog bed by K&H. It’s extremely well-made just like the other beds from K&H that we’ve reviewed. It’s made with medical grade, orthopedic foam that’s a full 5 inches. That’s definitely thick enough to support you full-grown dog without bottoming out. Also, it comes with a removable cover that you can take off and wash as needed. K&H produces this bed in three sizes: small, medium, and large, so there is a size for everyone’s pup! 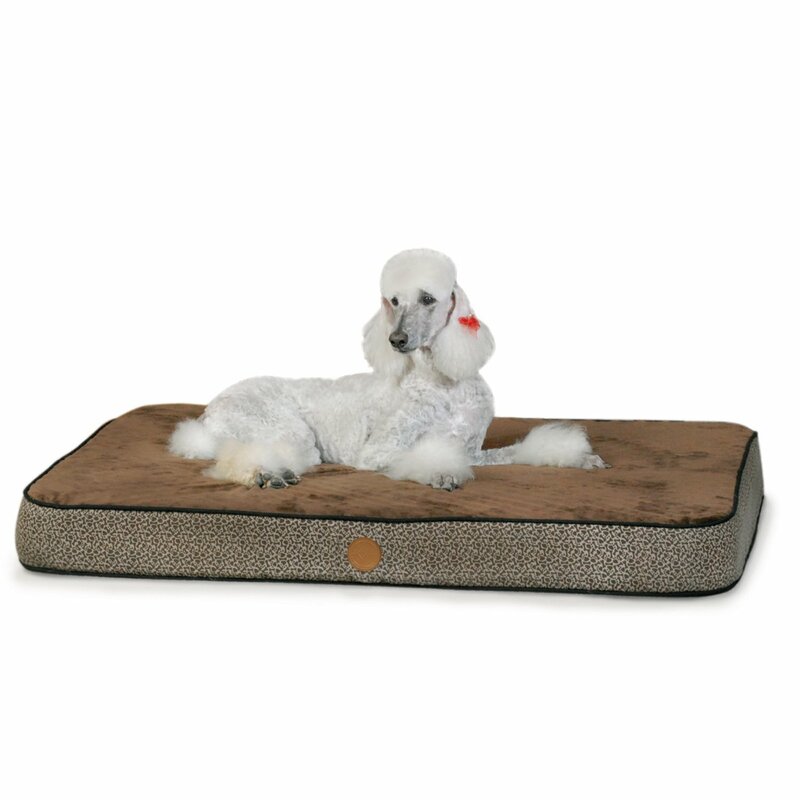 We recommend this dog bed, and plenty of others will too! This bed by Brentwood Well-Being might be one of the best dog beds available for ageing dogs. 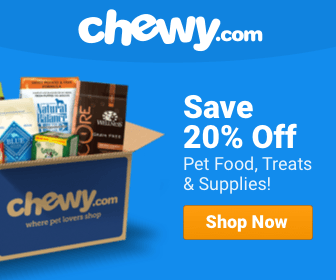 It provides a ton of quality support for your dog. It comes with 4” thick, gel infused memory foam, and 2” therapeutic foam. The gel foam helps the dog stay cool and relieves body aches, arthritic, join pain, etc. The microfiber cover can be removed for washing, and it even comes with a three year warranty. Not that you’d need it, though. The Brentwood bed comes with a 100% waterproof liner, and it’s resistant to mold and bacteria. This is made for larger dogs, but it would obviously fit all sizes of dogs. This bed is probably the most durable out of all the beds we are reviewing. It comes with two layers of material equaling 4”. It comes with a waterproof internal cover, and it has a heavy duty denim external cover. It won’t get flat over time, and it will likely last you several years. All that taken into consideration, we’d recommend this dog bed as well.